It has been an eternity since I last posted on my blog. 2016 was very full with family and clay,teaching and learning. ....and we did some landscaping which should make Open Studio's more pleasant in the future. It has also created a nice space in the garden for the grand children to play. A new pit was made on the next terrace down...so pit firings and raku will happen down there. * I participated in several Sandy Lockwood workshops- because there is always more to learn! * My Classes at my home studio- Lilli Pilli Studio- have been going well. But we have a great time and everyone makes lovely work. 2017 looks like following suit! Got to be a good omen! There is always so much that needs to be done in the garden, the studio, the house and with the family....life doesn't stop! I am always wishing for more time to give to all the aspects of my life. It will be constantly added to as I make new work. I have only recently returned from a workshop with Christina Cordova which was pretty amazing really and totally out of left field for me in the style of work but I am fascinated! How does she manage to look so groovy and spotless while she works with clay? totally impressed with this woman....on so many levels! I have adjusted my terms this year into 6 week terms with a four week break between terms so that I can get work made for both uni and the on-line shop during the break. A bit of garden and studio maintenance. I hope it will also allow me time to visit my children and grand children. If you are keen to join a class email me and I will let you know when a space becomes available. 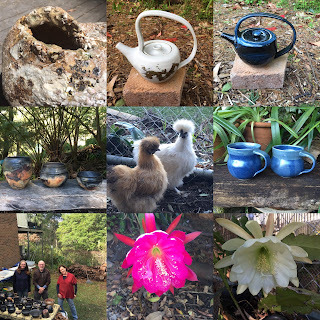 this year at her studio in the Southern Highlands. 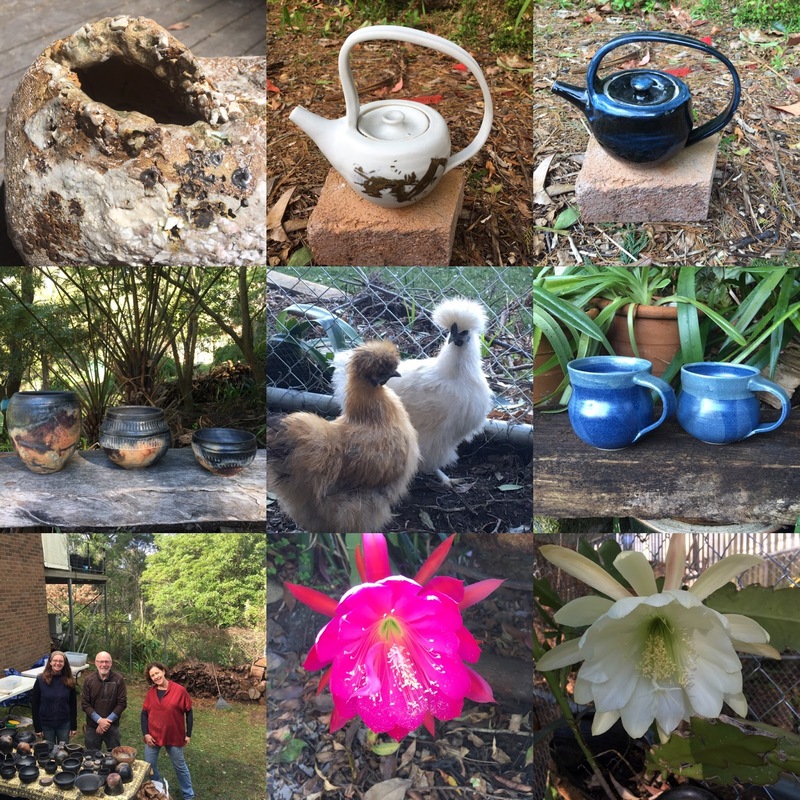 Hopefully I will hold a pit fire and raku workshop here at Lilli Pilli Studio during winter. Please message me if you are interested in participating in these. These are mostly for my current students but I can offer a few extra places. and I am looking forward to experimenting with that over winter. Work will continue on my MA but at a slow pace as my family and my students take first priority for me. I will be mostly working on sculpture for my uni work while my on-line shop is more focused on domestic ware. Visitors will have a chance to try their hand at throwing and hand building at this Open Studio. but there will not be hands on clay for visitors at this one. It will be more about feasting the eyes and celebrating the festive season with some tasty Christmas treats. I will aim to have small and large pieces suitable for christmas gifts available to buy at this event. I will also see if I can be a bit more consistent with my blog posts in 2017!